How do you build a groundbreaking creative ecosystem from the ground up that gives kids an incredibly rich ‘bespoke’ experience whilst future-proofing it for constant growth an iteration? Well, it turns out that the answer is “with meticulous planning and effort combined with unrivalled creative and technical expertise”! The BBC wanted to build on its existing digital portfolio and create a new set of products and experiences for children. These products needed to build stronger relationships with their audience, increase digital reach and make experiences which make children want to come back to again and again. This is all underpinned by the BBC mission to inform, educate and entertain. From TV Surfers to Routiners and Telly Tots, reaching and inspiring kids from two up to six years old was a huge challenge. Accessible enough that the little nippers can have fun but deep enough that the older kids have plenty to keep them occupied. This is an audience that requires fastidious planning for as the entire experience needs to be intuitive without copy or prolonged explanation. A big part of this was covered by our robust contextual onboarding system that assisted kids throughout every part of the App. 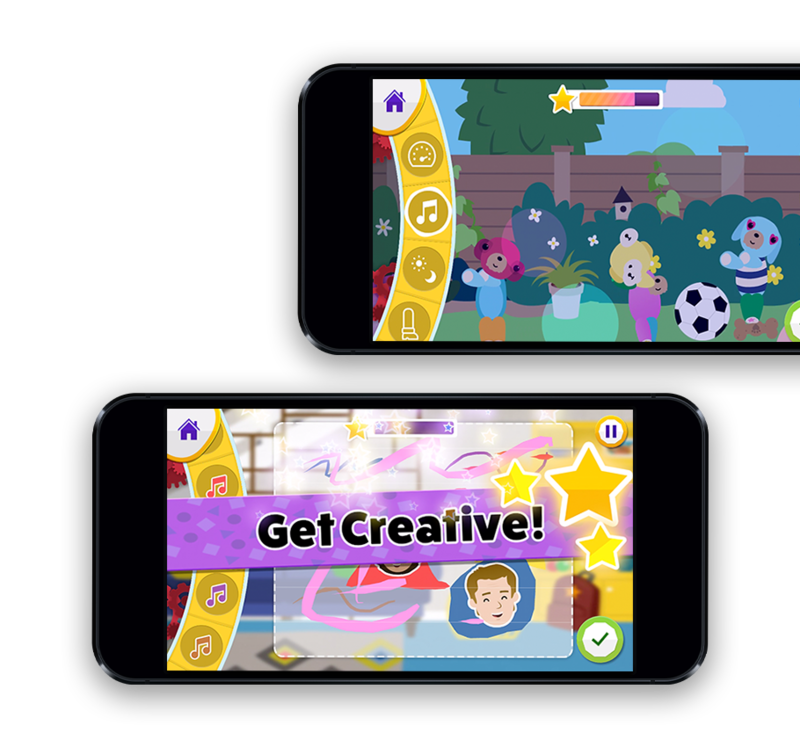 The familiar, friendly voice of Rebecca Keatley talked players through the App and activities, whilst visual signposting made sure that even without audio kids could get stuck in. Accessibility has always been a big focus for Goodboy and is something we have collaborated on with the BBC for many years. In Get Creative this posed one of our biggest challenges yet - how do you create a ‘one-touch’ input system for a (often) gestural creative tool? Our solution was to create the ‘Magic Button’. This control would basically trigger a range of preset and emergent gestures, selections movements etc. that would then interact with the various activities. This had to be flexible enough to range from painting a picture to making and animating a customised puppet show! Easy it was not, but ensuring that all players got the most out of Get Creative was absolutely vital. Make rich content that feels totally bespoke but can be edited and created by an external editorial team. Part of the project included the requirement for a CMS ‘Editorial Tool’ that would empower the BBC team to not only edit and change the content the app launched with, but also add entirely new brands to the App at all levels of the experience. This meant that the entire 3D factory space along with all the creative activities needed to be conceived such that they could all be completely re-branded to match any CBeebies property both now and in the future. From dynamic texture creation to asset-based physics outline generation, there was a vast amount of custom tech that was required to turn a massively technically demanding creative platform into something that could be easily updated and modified long into the future. The creative and technical challenges to making the product look (quite literally!) like child’s play were numerous. One of the big ones was making a product that looked and played great on some of the most humble devices out there. The simple fact is that kids get the hand-me-downs! From the iPad 2 that mum and dad got fed up with to the 40 quid Kindle, we had to accept and embrace a challenging device list from the outset. Developing with one of these devices plugged in throughout meant that we were never slapped with a monumental (or worse, impossible!) optimisation task at the very end. 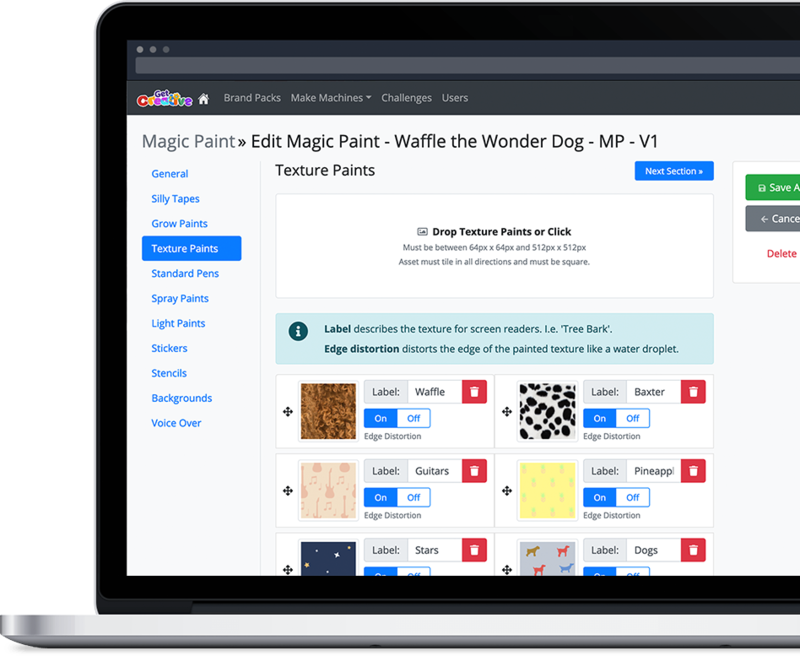 The HTML5 platform for Get Creative was specified from the outset. Our technology of choice was preferred because it offers unique advantages in making Apps that can be dynamically updated without needing to be constantly re-submitted to App Stores. This is vital in a living product that is continuously being added to and refreshed. Another aspect of this was for us to integrate with the BBC’s Pick’N’Mix framework which is used to package and deploy the HTML5 codebase in App form. We worked closely with the team across the lifespan of the project, helping each other to modify and refine systems on both sides in order to deliver the single most complex Pick’N’Mix powered product to-date. 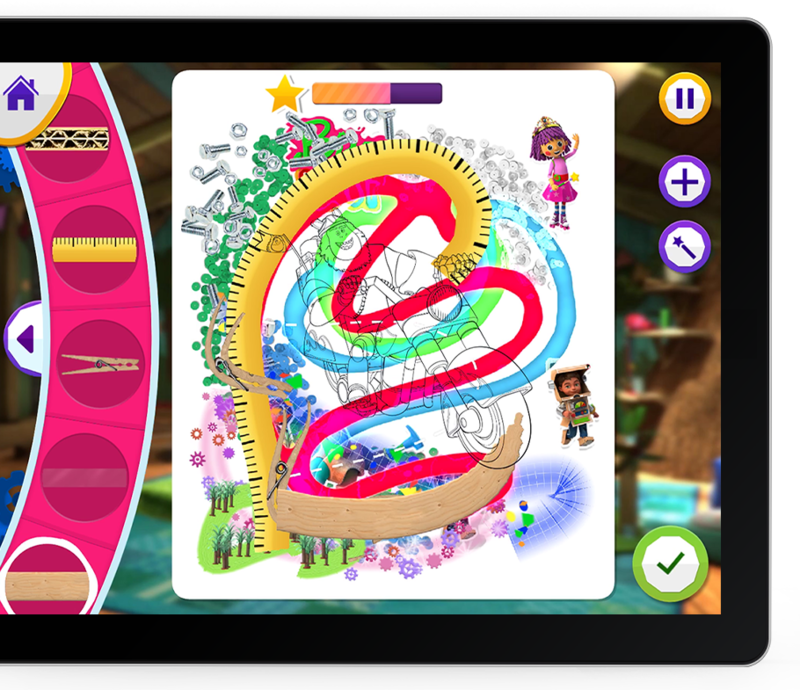 The Get Creative App was one of two companion products and whilst ‘Go Explore’ was the more learning focussed one, we still need to ensure that the activities and tools we made were grounded in valuable principles to help young minds understand the world about them. We worked with Early Years Foundation Stage (EYFS) consultant, Cathy Renwood to help develop the various creative activities such that they all offered valuable and varied elements from the EYFS framework. In Get Creative, we were able to develop activities that actively supported a range of specific EYFS areas, including communication, social and emotional development (SEL), understanding the world and expressive arts / design. Making content with genuine value is the DNA of Goodboy. If we’re just box-ticking then we’re doing something wrong. In Get Creative we married the essence of a wide roster of brands with valuable creative and educational learning all under the guidance of the demands and preferences of an extremely varied audience. It’s amazing that such a challenging list of requirements ultimately resulted in something so fun!